You're wasting your time mate. It's an issue widely reported by customers in VM area 15. It's been ongoing since mid December, reported widely here and to customer support by phone. There's plenty of supporting evidence in these threads, most tellingly the peaks on everyone's packet loss graphs match up almost exactly. It's predominantly hurting gamers at the moment, many customers just web browsing may not notice an issue at all so it may be under reported. You just get the same faf everytime you call offshore. Restart modem, book engineer, then book a second engineer when the first couldnt resolve it etc. ad nauseum. Its all a waste of time, the issue is not at your end it is at VM's. 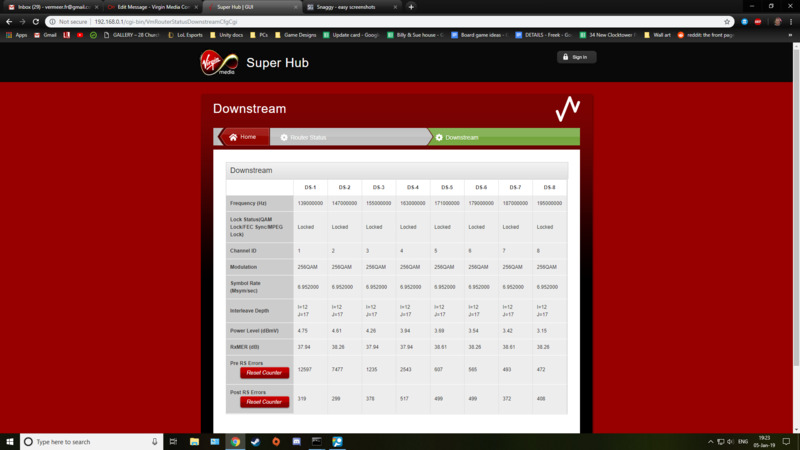 I would speculate they are aware of the issue but unwilling to assign a fault number or publish it to the service status page purely due to the number of customers affected. Wouldn't want them all requesting refunds for the past 3 weeks of degraded service and however long it continues for. You mention a mod in another thread said they were aware but its all just lip service. Without a fault reference and with nothing showing on the service status page - there is no way for impacted customers to follow up with the call centre (who still don't recognise this as an area issue), no time frame and now way to be able to claim credit for degraded service. Either way at this point, your best bet is to begin making a record of your contact with VM and setup a monitor to record packet loss not just latency incase you need to go to the ombudsmen later if this is ignored for 6 weeks. Eventually you should have enough evidence of the service being unfit for purpose and be able to leave your contract early without financial penalty. If you have no choice but to stick with VM you could use it to support a request for account credit when/if it gets recognised as an official issue. Do not assume it’s a general area 15 problem. I’m in area 15 and have a perfect connection. Have you got a BQM up to show us? I've got a connection in N1 and E8 and both mirror the exact same packet loss on BQM. Just because YOU are also in Area 15 and don't have any issues doesn't mean the problem is not related to users in Area 15. Some regular mentioned in an older thread that these are just billing areas anyway, the problem is clearly centered around the 'area' of North London, N postcodes, Area 15 billing area, etc. Not just N postcodes. Same issue reported as starting at the same time by users in E8 and E9 at least. Once upon a time we'd have been posting our locations, pings etc to the Blueyonder usenet group where they'd have been read by the Telewest people who designed/managed the network, and they'd have told us what was up, and what to expect by when. Thanks for getting in touch about the issues you were having at the time of your post. Our Network teams have been looking into this for the region and believe they have resolved this. Can you let us know if you are still having problems? 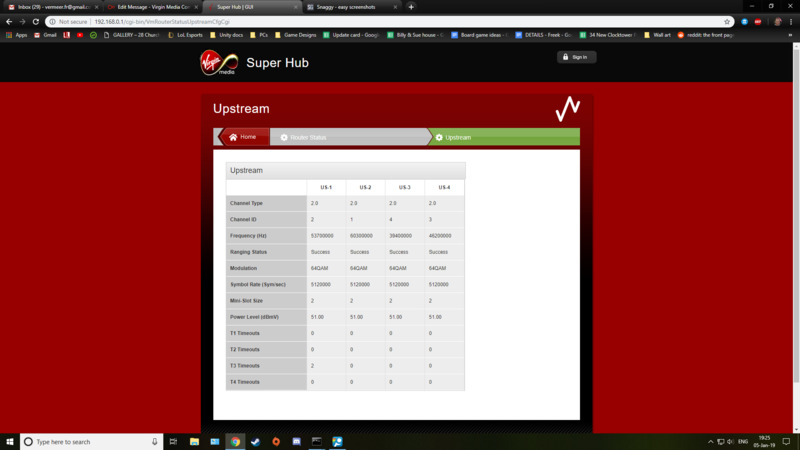 Running tests on your service this morning everything looks good right now.